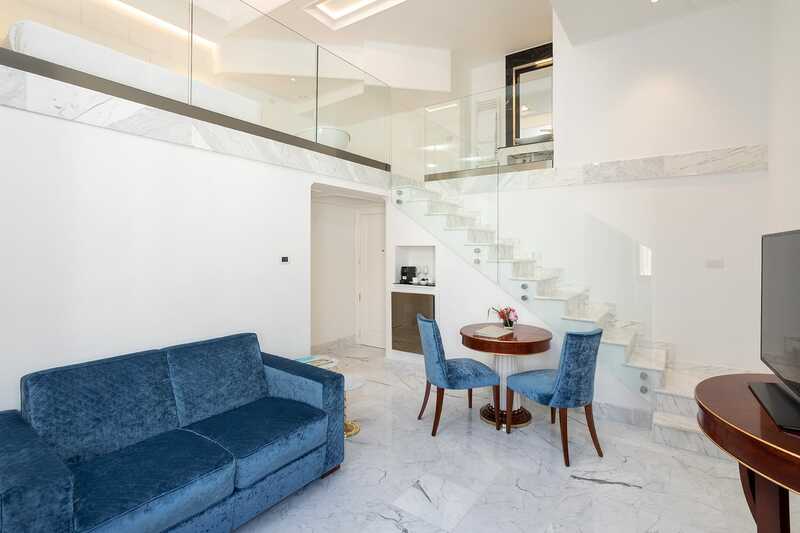 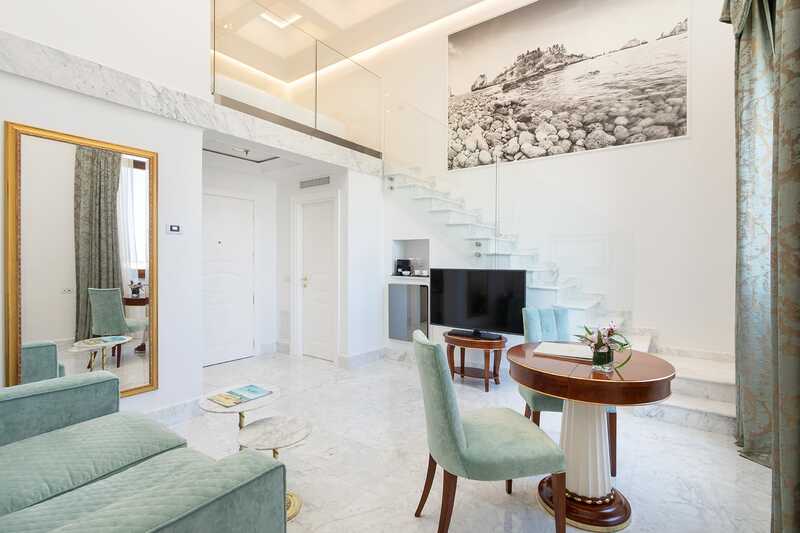 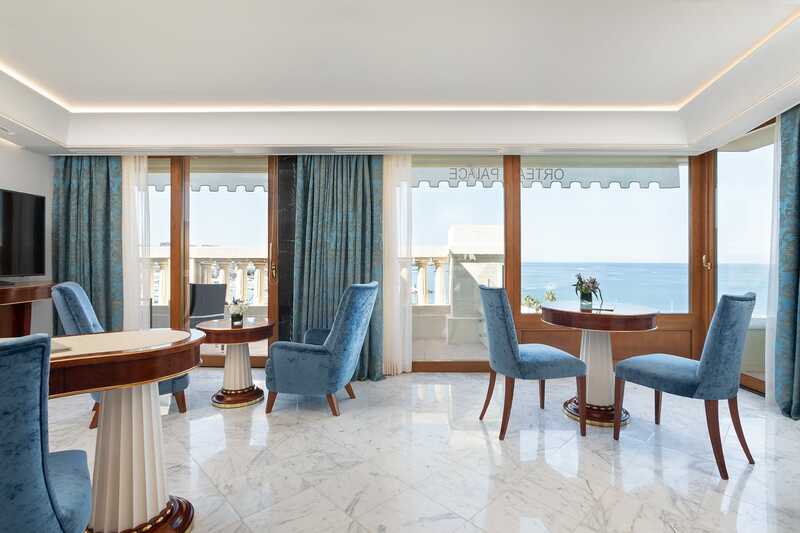 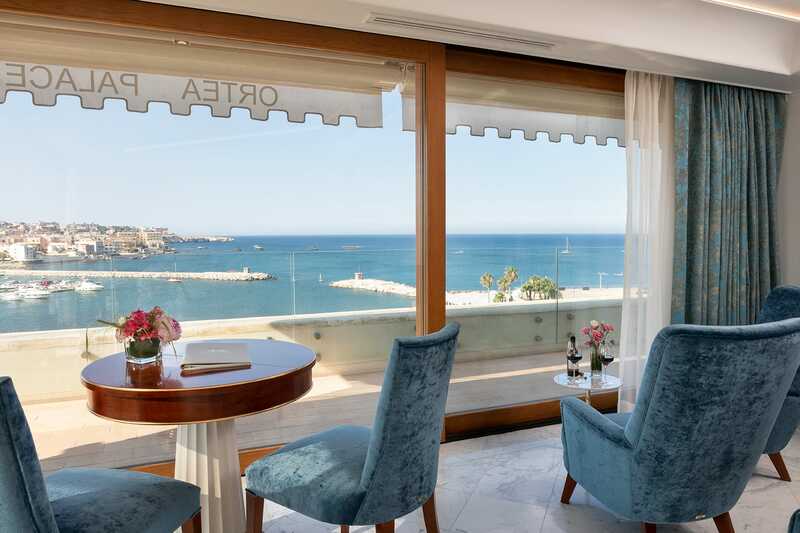 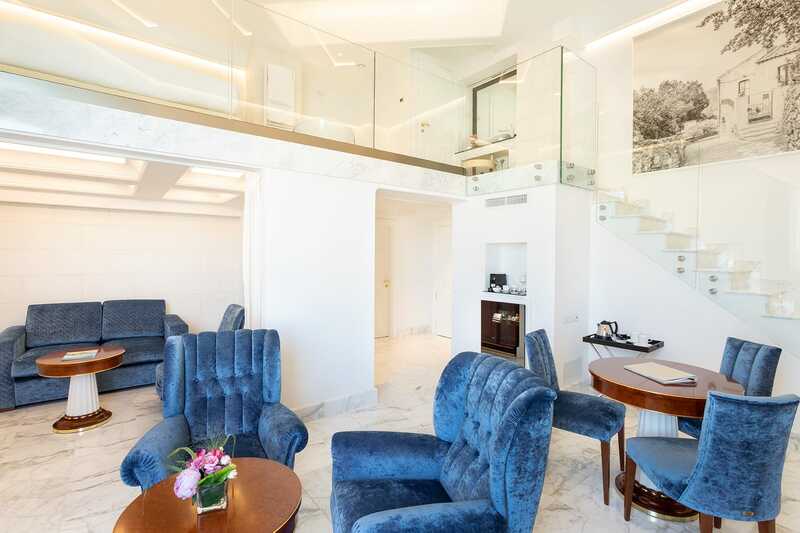 Located on the third floor of the hotel, these suites are spacious, very bright, feature balconies, and have an enchanting sea view. 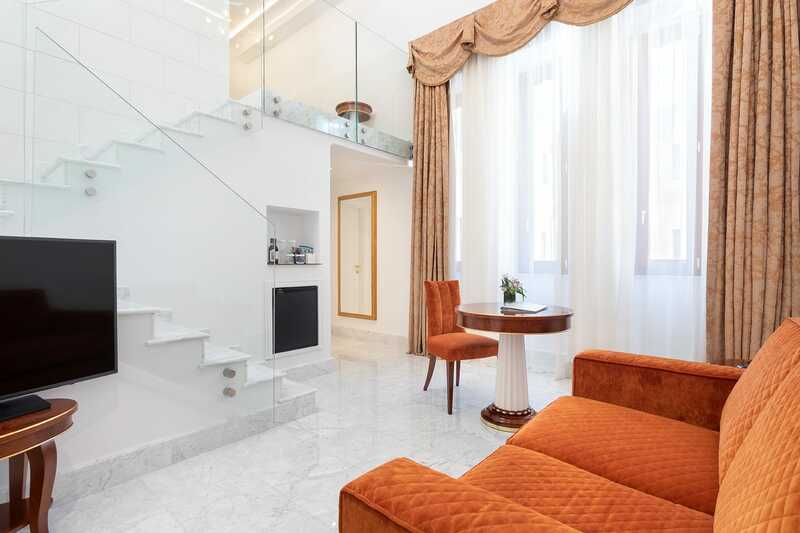 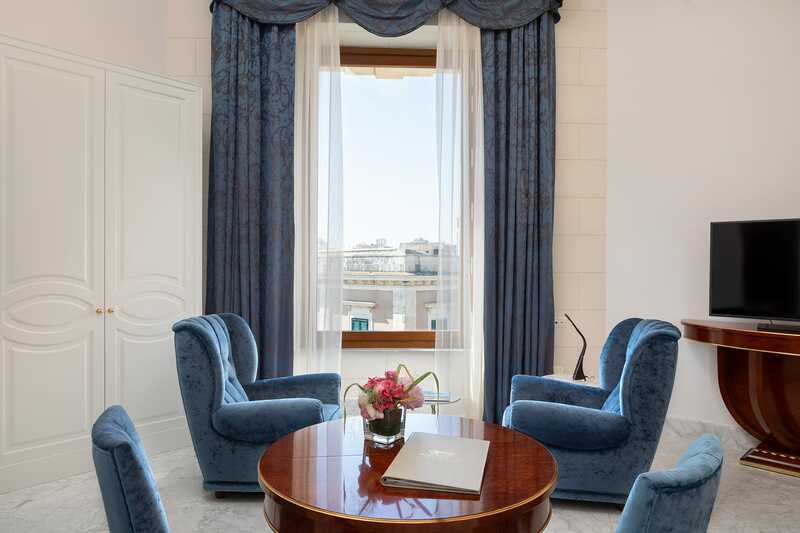 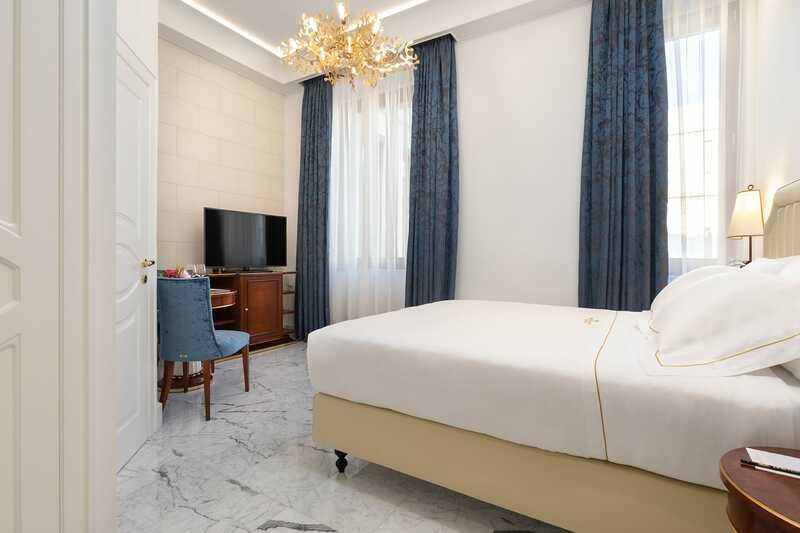 They offer refined furnishings, an exquisite marble bathroom with both a bathtub and a shower. 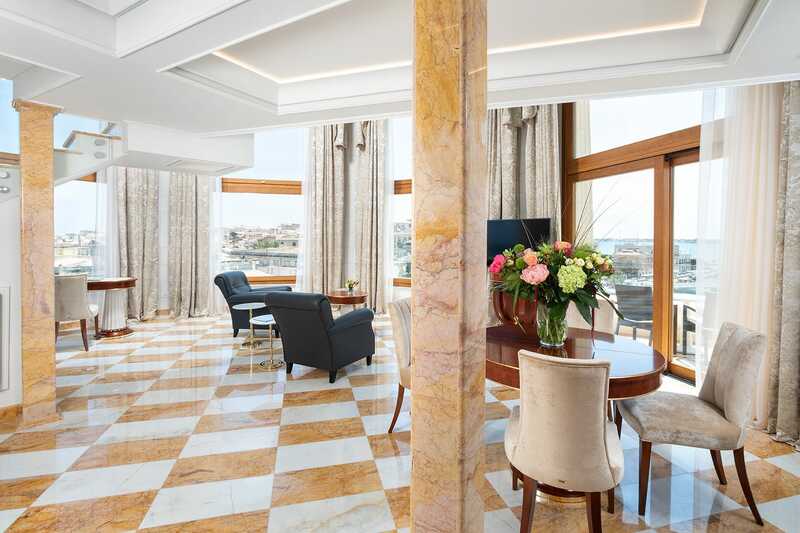 As in the other rooms, the faucets and fittings are by Philippe Starck and Villeroy & Boch. 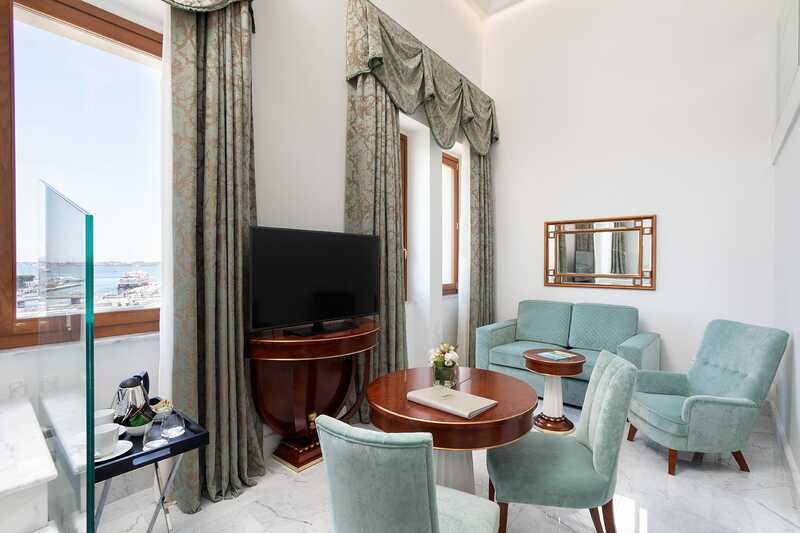 Completing the room is an elegant living room with desk, table, chairs and finely upholstered sofa, as well as a wardrobe entirely handmade by expert craftsmen.